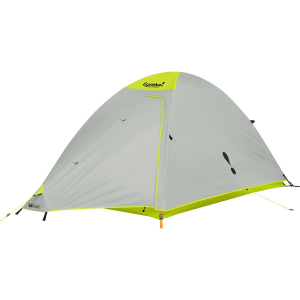 A great, easy to set up tent if light weight is not your primary concern. 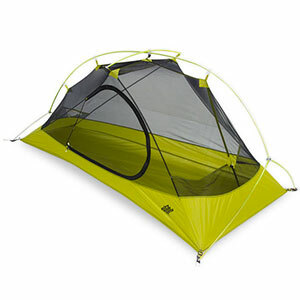 I stands up to wind and rain and is a roomy place for two people and their gear. I bought this tent back in 2014 and have stayed in it for weeks at a time. Usually it is just me and my trusty Irish Setter, but it is plenty roomy for two. 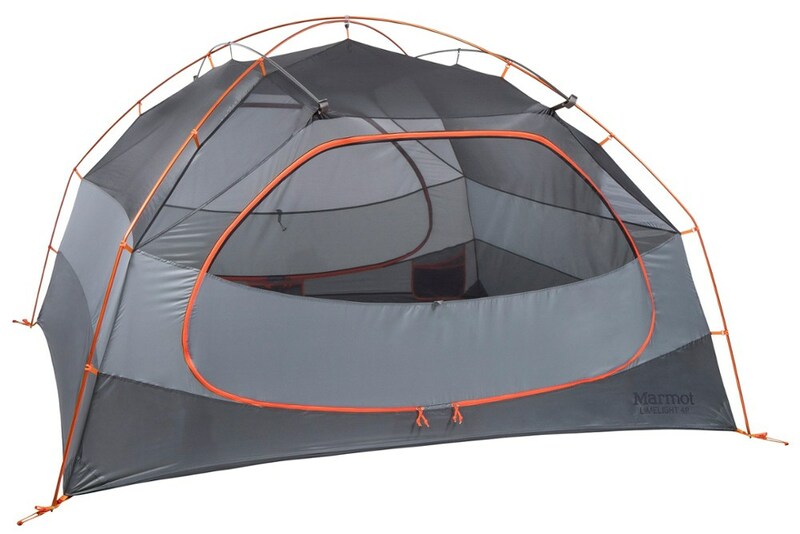 It is rated as a three-person tent, but if there are three adults they will likely know more than they would like to about each other after an evening. 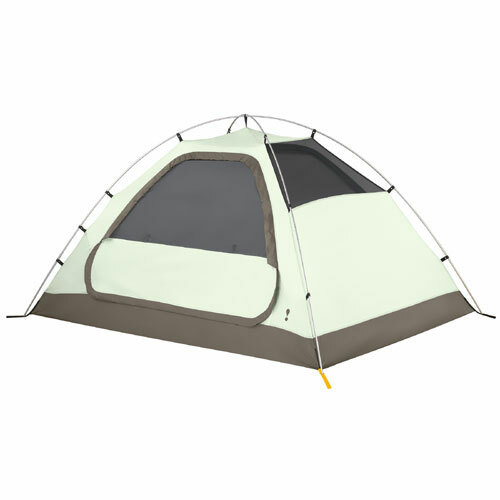 My tent weighed in at just over six pounds without the footprint, which is on the heavy side, but not too bad to backpack if splitting the weight between two hikers. For bicycle camping the weight did not matter to me. 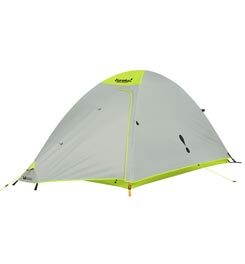 I have used the tent during all seasons except winter and would not hesitate to use it in the snow with a footprint. The fly is plenty large enough to dig into the snow to block a chilly winter breeze. The fly can be rolled up or removed when the weather is clear and warm. When using it for bicycle touring I take it for the extra room since weight is not as much a concern as space to spread out and relax at the end of the day. I have been able to comfortably sit inside using my Helinox Chair One for a rainy eveing of quiet reading. After more than 80 nights of use my tent is still in like new condition. 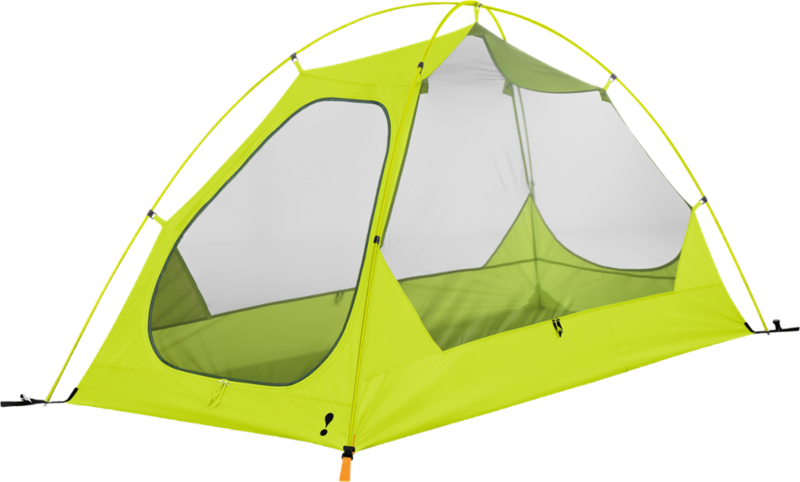 Inside there are mesh corner pockets and a generous overhead net that I have used to dry or air out damp gear. Ventilation works well even on sticky Florida nights if you roll up the sides of the fly or pitch the fly wide of the mesh sidewalls. The large vestibule gave me room to store my 70L backpack or all four of my bike panniers with room left over for my boots or shoes. 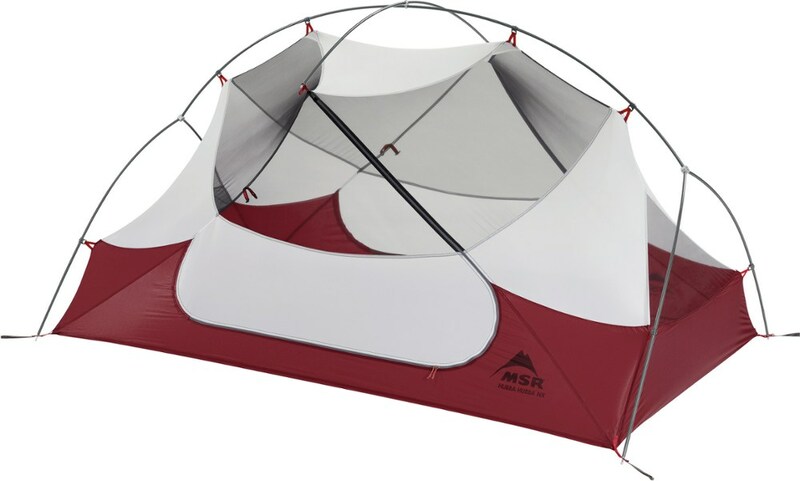 If you buy one you may want to add four or five heavier tent stakes to the flimsy aluminum wire type that come with the tent. While they are easily pushed in to softer soils and hold well in the wind, I found it near impossible to get them in to some harder soils without bending them severely. However, aside for this one, small concern the Arami Pass 3 has been a great tent that I can continue to enjoy for many more years. The Eureka! Amari Pass 3 is not available from the stores we monitor. It was last seen February 23, 2019	at Backcountry.com.